Aspect Window Styling for all your window furnishing needs. We exclusively supply and install S-Craft products. Our range includes made to measure Plantation and Solid wood shutters for internal windows and doors, Pure wood Venetian blinds and Honeycell blackout blinds. Our goal is to provide outstanding client service from consultation to installation and gain exceptional referrals. We offer a full bespoke window dressing and soft furnishings service, transforming your house into a beautiful and stylish home. Our highly experienced team provide top quality craftsmanship, with such stunning results that our clients keep coming back for more. Using both our practical and design knowledge, we work alongside you to achieve your vision for your home. Whether a single window or a whole house, we offer not only window dressing services but upholstery, soft furnishings and more. We can even give your home an entire makeover with our styling service and you won't have to lift a finger. Our talented, creative and versatile team may be seen smiling across the south of England; from our base in the high street of Bruton, Somerset, up to Bristol and across to London. Our customers take us from country cottages, townhouses and homes, to restaurants, care homes, boarding houses and renowned art galleries. Call now for a free consultation! Paul Christian is the key to perfect, made-to-measure designer blinds and curtains. 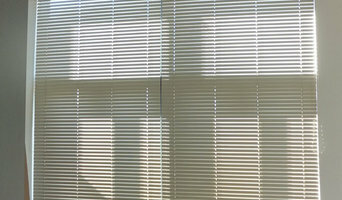 We supply blinds suitable for all window types (including those difficult and unusual shapes). Our range includes real wood venetian blinds (available in FSC timbers), motorised blinds, conservatory blinds, roller, pleated or panal blinds plus a large selection of solid or plantation-style wood shutters. Attention to detail and our clients’ remit is paramount. Having built our interior design business on reputation and reliability, in Bristol, Bath and the surrounding counties since 1984, those who know us come back time and time again due to our extensive product knowledge, attention to detail and after sales service. Paul Christian has a successful commercial arm providing curtains and blinds for hotel refurbishments, bars, clubs, luxury apartments and show homes for new builds. We welcome enquiries from interior designers and homeowners so get in touch with Paul today via Houzz or the contact us page on our website. Recent projects : Dexters Cardiff, Place7 Bristol, Square Brewery Bath, UWE student cafe, Future Inns, Simple Simon Design, Barratt Homes and black out curtains for Ministry of Defence housing. Welcome to the home of beautiful plantation shutters - the window and door coverings that will transform your home, adding elegance and sophistication. At Just Shutters we pride ourselves on providing you with the very highest levels of expertise and advice. We are a local family firm and our ongoing success depends on our ability to satisfy and exceed our customers' expectations. In choosing Just Shutters, you benefit not only from exceptional services, but also from the widest range of colours and styles, crafted from the best materials available. We custom make every set of shutters exclusively for you and, because we believe in the quality of our shutters, we also offer a lifetime guarantee. Our friendly and professional service delivers the ideal solution to adding both style and value to your home. Combe Park INTERIORS is a small company based within the historic Georgian city of Bath, run by Claire Suntharalingam. Claire started her business as a curtain-maker in 2009 following which she has seen it steadily grow. Claire has gained a diploma in Professional Curtain Making and Soft Furnishing from the National Design Academy as well as a diploma in Interior Design. Combe Park INTERIORS offers services to suit any budget. As an independent Interior stylist and curtainmaker the fees are more competitive than those of a showroom or studio and you can be assured in the knowledge that you will be dealing directly with Claire throughout the project. 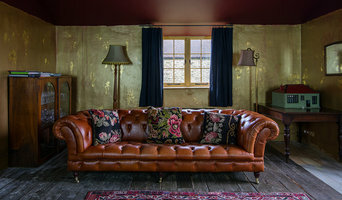 Claire now provides a range of Interior Style services and advice for residential clients in and around the Bath area. Bespoke made to measure Roman Blinds using your own fabric. For private and trade clients. 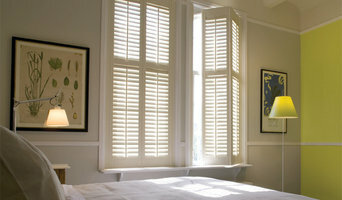 Beautiful, bespoke plantation shutters for your windows, handcrafted and fitted by experts. Dappled Daylight is a husband and wife team, dedicated to helping you choose the right shutters for your project. Our interior design and practical experience enable us to provide you with a personalised service. We’re a completely independent company so can offer you an unhurried, no obligation service that puts you and your property centre stage. With us, you’ll be thrilled with the stunning shutters, expert installation and high level of customer satisfaction we provide. Please feel free to get in touch to discuss your shutter requirements or to book a free home survey. We would love to hear from you! We want to be the driving force behind improving and changing the blind industry from an outdated, ‘stuck-in-their-ways’ industry, to a modern, simple, forward-thinking company focusing on fulfilling the customer’s needs. 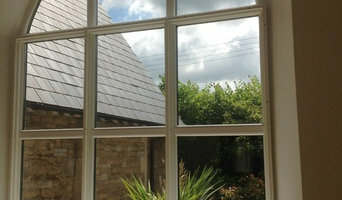 Appeal Home Shading has been enhancing homes for over 30 years from its headquarters in Bristol. The business employs a skilled team of craftsmen and expert home design consultants who pride themselves on providing personal, friendly and honest service. Savills (South West) have over 20 years experience in the supply and installation of awnings for domestic and commercial use. We are a family run business specialising in high-end German engineered Weinor Awnings. Types of installation include Garden Awnings, Sun Awnings, Patio Awnings, Pergola Awnings, Conservatory Awnings, Glass Patio Roofs, and commercial awnings. All awnings are fully motorised and retractable; Installations can also feature Led Lights. When it comes to style Weinor Awnings are the leaders of the pack, with over 200 fabric colours and 53 frame effects there is sure to be an awning suited to your needs. Bridge Contract Interiors Supply and Install curtains, blinds and soft furnishings for Hotels, Boarding Schools, Care Homes and hotels. We design or work with your designs. We supply individual establishments or care homes groups, contractors, architects and project Managers. Offering the finest handcrafted shutters, Bath and West Shutters are the authorised agents for The New England Shutter Company offer a measure, design and installation service in Somerset, Wiltshire, Gloucestershire, Devon and Cornwall. Curtain makers, retailers and designers in Bristol can work wonders with pieces of fabric, while fitting blinds or shutters can be tricky to do yourself, so it’s definitely a wise idea to hire a window dressing professional in Bristol who can design, make and/or fit bespoke blinds, curtains or shutters for you. 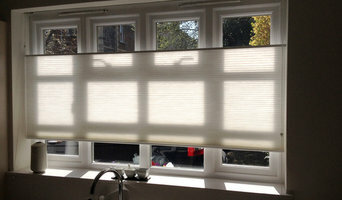 Whether you want sleek roller blinds for your home office, roman blinds for your kitchen, venetian blinds to smarten up your living room, plantation shutters for your bay windows or delicate voile curtains for the bedroom, there will be Bristol curtain makers, blind fitters or shutter company to help you with your ideas on Houzz. A curtains, blinds or shutters company in Bristol will first be able to advise you on the style of window dressing that will work with your windows and rooms. If you have an idea or design in mind for your window dressing, then discuss this with any potential experts, such as curtain makers in Bristol, to see if your design and style is possible. You will need to work closely with them if you are planning on having custom curtains, bespoke blinds or shutters created. Curtain makers will be able to turn most fabrics into curtains, so if you’ve found a pattern or fabric you like already, present this to your Bristol curtain makers and they could be able to turn it into curtains for you. Even when clients don’t have certain fabrics in mind, curtain makers can suggest fabrics based on your style and the rest of the room’s design. They can pick out the right weight, thickness, length and pattern that would suit your room. Curtain retailers in Bristol will offer a huge range of readymade curtains, or curtains that can be adjusted or made to order. Contact Bristol curtain retailers if you’d prefer to choose from a large selection of ready-to-go curtains; whether they are high-end designer curtains or just plain white curtains; rather than waiting for some bespoke designs from a curtain maker that may take a bit longer. You may find that curtain makers in Bristol also offer a stock of ready-to-go curtains, too, but always double check with the professional first. Once you’ve decided on a design, curtain makers, blind fitters and shutter professionals will usually measure your windows or doors to ensure a good fit. If you are having blinds or shutters made then it will probably be best to have them professionally installed, too. Blind fitters and shutter companies should offer this service with their products as blinds and shutters need to be firmly fixed to the windows; something that most homeowners don't know how to do themselves. Although roller blinds and Roman blinds can be fairly simple, vertical blinds and Venetian blinds can be a bit more complex, and if you want remote controlled blinds that operate with the touch of the button, then you definitely need to call in the Bristol blind fitters. Plantation shutters are substantial window dressings and need careful measurements and installation, so it’s really best to leave the measuring, design, manufacture and installation to a professional Bristol shutter company. Blind fitters, shutter companies and curtain makers in Bristol should also check the insulation of your chosen window dressing and make sure there are no potential hazards once fitted. Finally, they should confirm with you that your curtains, blinds or shutters are functioning as you’d like them to before finishing the job. What should I ask Bristol curtain makers, blind fitters and shutter professionals? Find curtain makers, blind fitters and shutter professionals on Houzz. Narrow your search in the Professionals section of the website to Bristol blind, shutter or curtain maker professionals. You can also look through photos to find examples of Bristol window dressings that you like, then contact the curtain retailers, blind fitters, shutter professionals or curtain makers in Bristol who worked on them.